Eco Warriors responsibilities and our plan for the year can be found on the noticeboard in the Link. 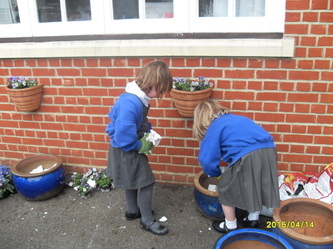 During Outdoor Learning Day on 1st February 2019 every pupil in the school planted a tomato seeds. Once these have grown larger they will take the plants home and look after them there. 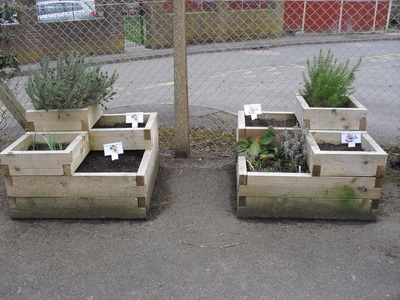 We will compare plants sizes and harvests from those grown at school. We have allocated Tuesday 20th November 2018 as the first of our Garden Working Parties. If you can spare some time we would be very grateful for some help to put our gardens to bed and to move items to our new storage shed. During 12th to 23rd November 2018 we will be taking part in Switch Off Fortnight. Our pupils will be looking to make sure lights are off when rooms are not in use and that computers and white boards are not left on. Stickers are left on any equipment that is left on, leaving no doubt as to the wrong-doers! Also during this time our Eco Warriors will be speaking with the other pupils and asking them to pledge to save energy both at school and at home. The pledges are put on the back of the autumn leaves, pictured above, and hung on our Eco Tree in the link. At the end of Switch Off Fortnight we will have our annual How Low Can You Go? Day. We will aim to turn off all non-essential electrical items. This can sometimes mean that we are sitting in very gloomy classrooms as our pupils get very passionate about it! Our Eco Warriors now have responsibilities that they organise on a daily or weekly basis. 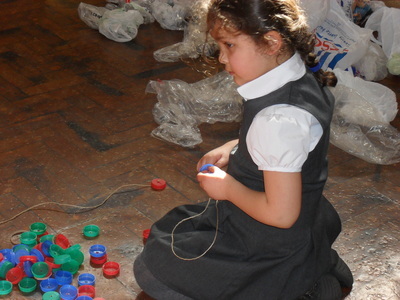 They arrange help from within the wider school community. Once again we are inviting our pupils and parents to be Flower Fairies. Anybody that wants to donate a flowering plant is invited to plant them at the end of the school day or before everybody else arrives in the morning. This is then a surprise for everybody else, thus the idea of a Flower Fairy having visited us. Every child that acted as a Flower Fairy will have their name on a fairy on the Link Tree. Spring Term is when we focus on Waste. During our Eco Big Think Time Assemblies our pupils like to watch the relevant Busta and Pong video clips. Our ECO Warriors led our Big Think Time Assembly on Waste on 24th January 2018. They presented a Power Point showing how Baby Busta is made from recycling 5 plastic bottles. The pupils then went away in their groups and talked about things could be used for something else and to come up with ideas. A large sheet of paper was put up in the hall for the pupils to add sticky notes to over the next few days. 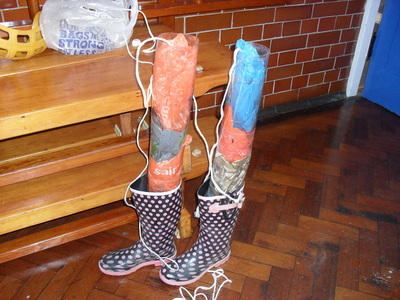 These will then be discussed with the ECO Warriors at a later meeting to decide how we will plan our activities. At the end of the assembly they announced the winning class of the lastest Baby Busta Challenge. Baby Busta was awarded to Woodpecker Class for their work on energy last term (autumn) and for completing the highest number of pledges for our Eco Tree. 'Phil' the Bag is a textile collection service that we use to raise funds for our ECO activities at the same time as helping poorer countries where our unwanted clothes and other items are greatly appreciated. Our next collection is 21st March 2018. All donations should be in school the day before or early that morning as the collection is usually early. This is the Spring Term Baby Busta Challenge. The class with the most donations brought into school will win Baby Busta to live in their class room until the next Challenge. Our ECO Warriors led an assembly around energy and how we can save it in school and in our homes. All pupils were asked to complete a pledge leaf stating how they will help to save energy. The leaves will then be added to the Eco Tree in the Link. This activity is also the Autumn Term Challenge. The class with the highest number of returned pledges will win Baby Busta until the next term's challenge. We held a 'How Low Can You Go? Day' on 24th November 2017. The pupils were very aware of how much electricity was being used and kept a close eye on which lights were on when they could be off. We reduced the amount of time that computers were in use that day and our ECO Warriors went around the school checking for electrical equipment being left on in empty rooms and left stickers behind to show the users the error of their ways. They greatly enjoyed this activity and catching people out. Children are invited to come to school in non-uniform clothing. Bright colours are requested. 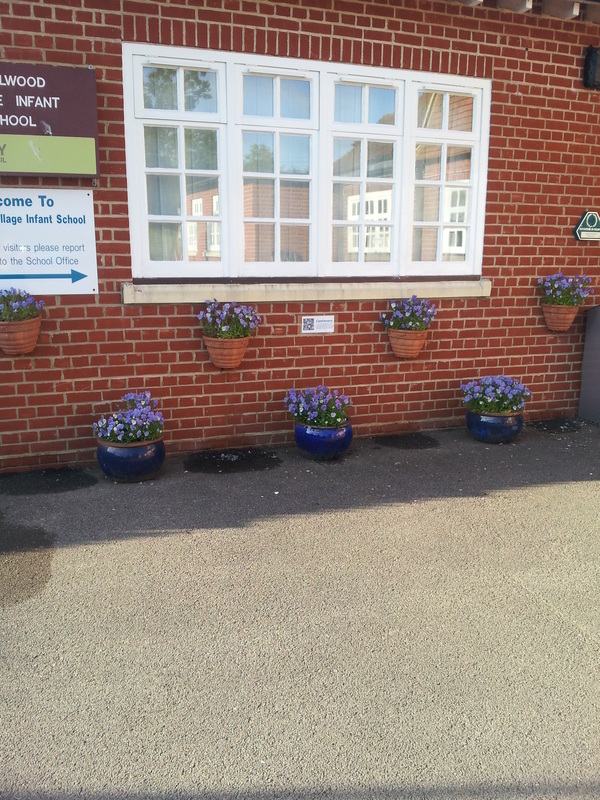 The 'fee' for taking part is a flower bulb for the regeneration of our planters at the front of the school. 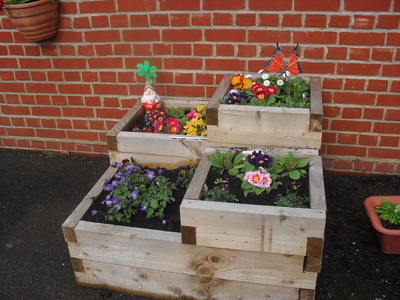 This is stage 1 of our Eco re-invention and taking part in garden competitions next year. At our INSET Day at the start of this school year staff and Governors agreed that our Eco activities and thus the results around the school and with our pupils need a make-over. ECO WARRIORS will need to apply for the position and will be interviewed. Information will be provided to pupils at our first Eco Big Think Time. We have organised our first Working Party for Thursday 21st September 2017 between 9 a.m. and 10.15 a.m.
We aim to be very busy this year and would greatly appreciate any offers of help, no matter how small. Our next textile collection has been booked for 29th March 2017. If you have any items of clothing, bags, shoes or belts that you no longer want please bag them up and bring them to school on 28th March ready for collection the following day. 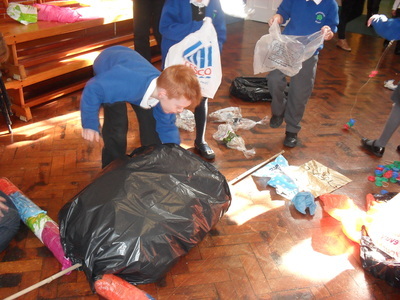 Every half term the Eco Team hold their own Big Think Time assembly. We used the final assembly of the year to run through activities that we do during the year. The children were amazing with the things that they remembered and were still coming up with new ideas. One group suggested that, as our new Year 3 class will not be provided with snack time food under the Government's Fruit and Veg scheme, we should grow our own snack time food. We will try this in the autumn term. We took part in Empty Classroom Day again this year. We had had very wet weather prior to the day and so camp/den making was held in the school hall as the trees and the ground were too wet. The children thoroughly enjoyed it and practiced their skills that they had used in tying up their den making tarpaulins in the field previously. 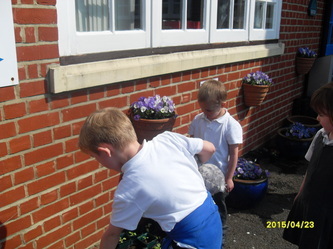 Lots of lessons took place outside and the children enjoyed investigations into the plants and pond area. We used this day to celebrate the Queen's birthday too and all the staff and children had lunch in the school hall, as again it was too wet outside. We were also joined by some members of the Governing Body. Our caterer served us a traditional fish and chips in newspaper cones. We all had a fun day! 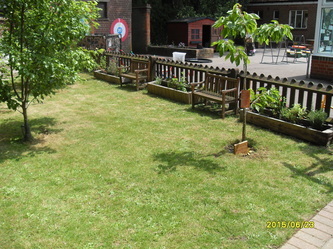 As usual our focus is on the school grounds and gardening during the summer term. This is an extremely busy time for all the children with the sowing, planting and particularly the watering. As our summer in school is extremely short we need to begin our activities during the second half of the Spring Term. This year every child in our school planted a tomato seed. Once of a reasonable size the plants were taken home to be cared for. We have asked the children to let us know how many tomatoes they harvest and we will keep a chart. 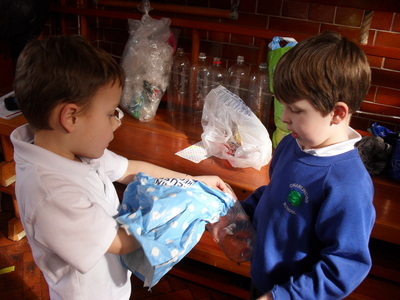 http://bcove.me/6g8puvn9Our main focus for the Spring Term is always Waste and once again we remind the children of the importance of the 3 Rs ~ Reduce, Re-use and Recycle. This is done in the Big Think Time assembly. 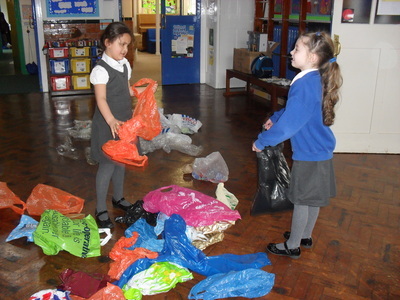 We empty a standard bin bag on to the floor and the children are asked to decide where the items go i.e. recycling for re-use in school, such as junk modelling, gardening use, scrap paper or recycling for the recycling bin. The children are aware that anything left in the bag and put into the general rubbish eventually goes to landfill which is to be avoided where at all possible! 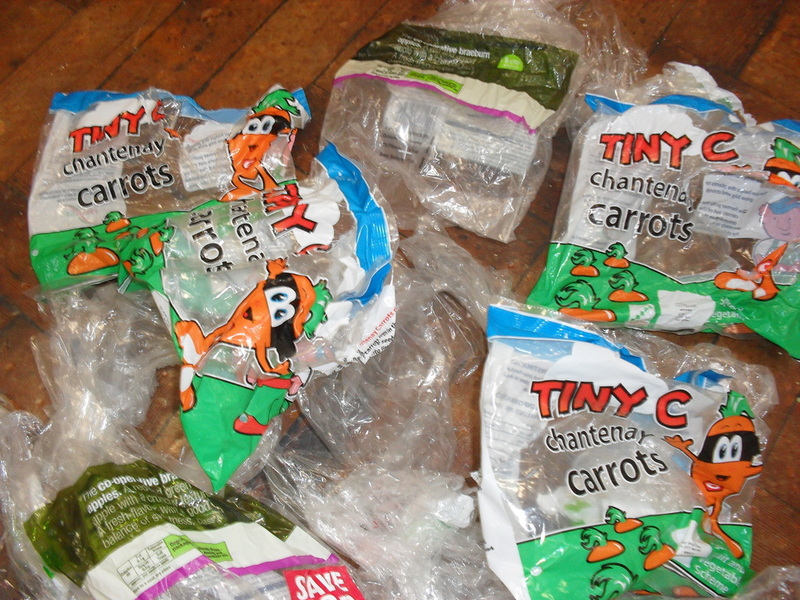 The children once again watched the video of Buster and Pong and their Recycling Song. Ask them about it, they love it! Please be aware that How Low Can You Go? Day will now take place on Tuesday 17th November 2015. 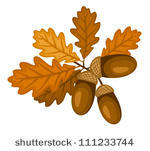 These pictures of autumn oak leaves and acorns were used to write our energy pledges on the reverse. We then laminated them and hung them on our ECO Tree in the Link. This is our final competition for this school year. Today we received our certificate from SSEiB. We are very proud to announce that we have again been awarded a Silver-Gilt award and have managed to increase our point score from last year. We heard today that we received 'Highly Commended' in the Horley in Bloom competition this year. The judges visited us on 21st April 2015. Thanks to the hard work of all involved in this year's garden activities we were awarded joint first place this year. 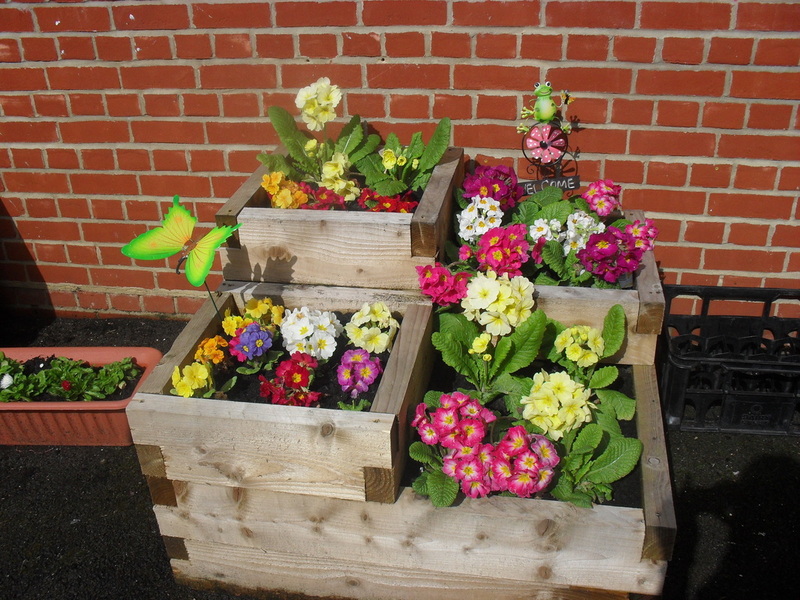 The Flower Fairies have been hard at work and we only have a few spaces left to be filled. 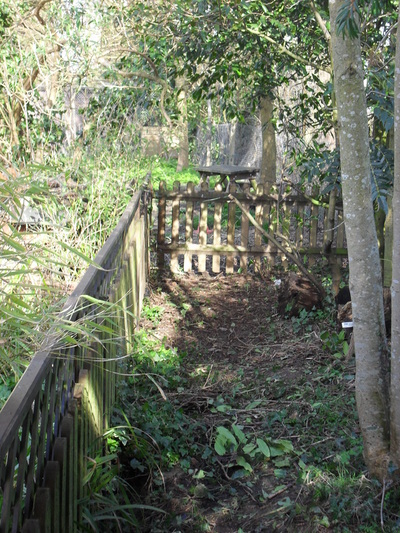 All planting needs to be finished by Friday 20th March 2015 please. 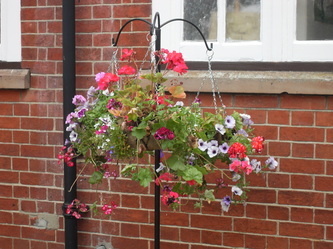 Thank you to those of you that have jumped in with this new initiative ~ our front planters are now looking fabulous. We won’t now be dropping out of our first competition this year!! 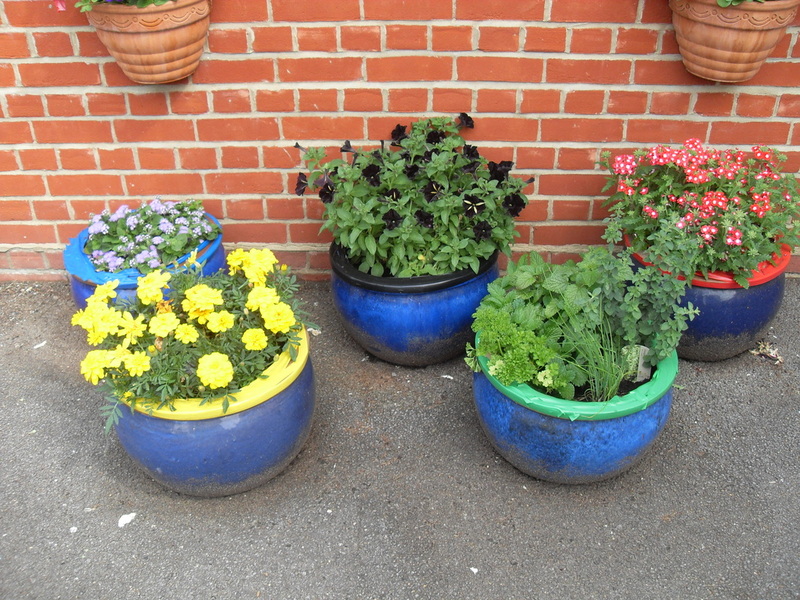 Our planters and pots on the playground area are looking fabulous! A big THANK YOU to those of you that are already bringing in plants and making plans to ‘visit’ with your own flower fairy. 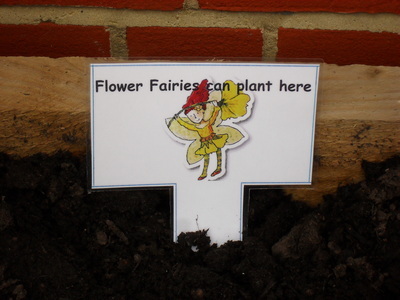 Don’t forget, if you would like your child to be a flower fairy but you don’t have time to come in with them all you have to do is give them the plant and tell them to find Mrs Dodd or Mrs Bowling with it. Don’t forget you still have next week to visit with your flower fairy to fill in the empty spaces. If your child has been a flower fairy please ask them to come to Mrs Dodd to put their name on a flower fairy which we will then hang on our ECO Tree in the Link. A big THANK YOU to those of you that are already bringing in plants and making plans to ‘visit’ with your own flower fairy. Don’t forget, if you would like your child to be a flower fairy but you don’t have time to come in with them all you have to do is give them the plant and tell them to find Mrs Dodd or Mrs Bowling with it. With the promises of help that we have received we won’t now need to pull out of this year’s first competition! We will update you on all help and progress next week. The Toy Sale planned for 10th March has been postponed as not enough items were received. We will try to plan another for the summer term. During the spring term we will be holding a 'Phil' the Bag textile collection and a Toy Sale where children bring in unwanted toys and for just a few pennies buy others to replace them. We will also continue with our usual recycling activities. As usual we held SwitchOff Fortnight during our autumn term focus on saving energy, in fact we focus on saving energy throughout the school year. Our Eco Team check that lights are off when the room is empty and that computers are switched off when no longer in use. This is stressed throughout all three classes and to make things more fun this year we introduced a special day ~ How Low Can You Go? Day. This was held on Wednesday 12th November. We followed our usual procedures of switching off equipment and lights that are not in use and as SwitchOff Fortnight had been incorporated into November's ENERGY MONTH the children had longer to focus on saving energy and new ways to do so. For this one day we significantly reduced our energy use by turning off as much as possible. Lessons were taught differently as no Interactive Whiteboards or computers were switched on and admin computers and equipment had limited use throughout the day. Year 1 spent a couple of murky hours with the children insisting that it was bright enough when Mrs Cragg wanted to turn the lights back on. That's dedication! We have today received the award for our second year entry into the South and South East in Bloom 2014. We are very pleased to have received Silver-Gilt this year. This is a brilliant achievement for only our second time. A lot of work goes into our gardens and we have some very dedicated children. 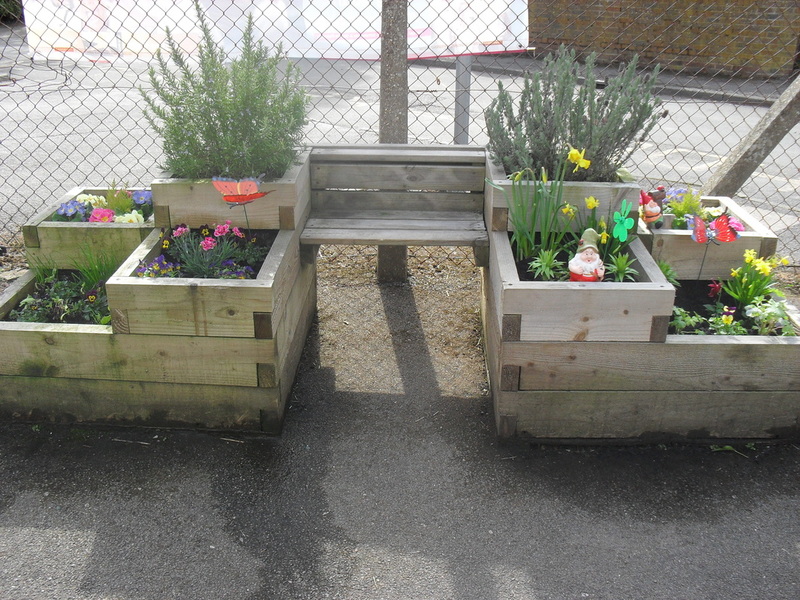 This term's gardening club have been particularly hard-working and spent lots of time gardening in general as well as planting herbs and taking care of the planters. They also started the clearance on the Woodland Walk earlier in the year. 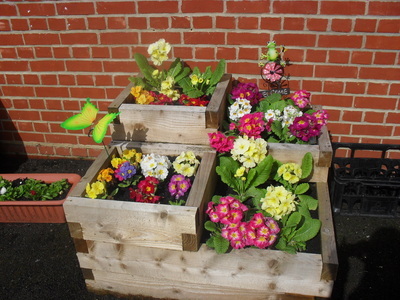 We also received notification of the Horley in Spring judging today - we were awarded 2nd place in the schools group. A comment we received was that "The judges were particularly impressed with your vegetables and herbaceous border". A big thank you to all the children that have given some of their break times to help with our gardens. We entered Horley in Spring for the second time this year and were pleased to be awarded Second Place. After removal of trees during the summer holidays of 2013 our existing Woodland Area is no longer in the shade but has full sun. We have now started the development of our new Woodland Walk from the Orchard to the field. On 27.2.14 we re-sited a compost bin from the entrance of the woodland area and thinned the bushes. 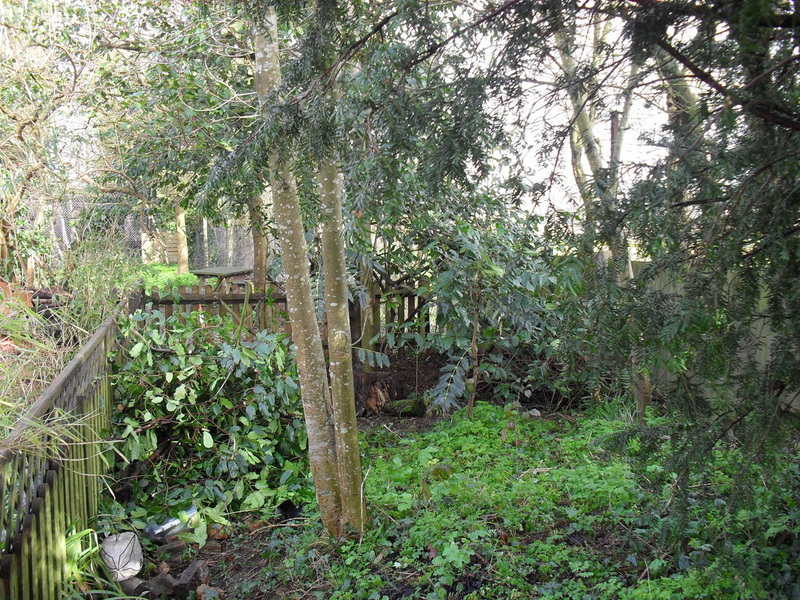 We also began a further wildlife habitat along the edge of the area. 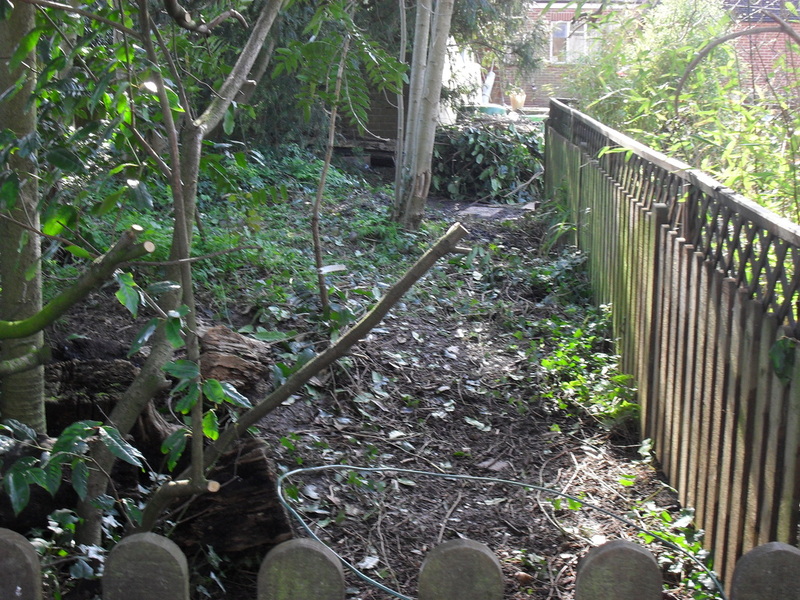 Work will continue to clear unwanted plants/weeds in this area and we will transplant from the existing area to the new site as the plants appear. 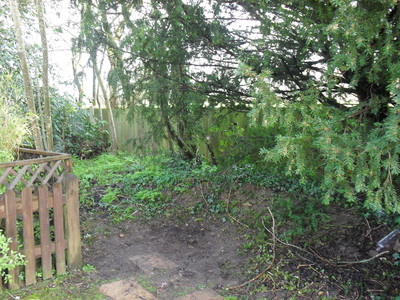 With help from a few parents our Woodland Walk is almost ready. We will be taking part in the Waste Week 2014 campaign. We will have 3 activities during March that will all be part of the campaign with a focus on waste and particularly plastic. Please watch this space for upcoming details and activities. In the meantime children, have a look at Busta singing - in the link below RECYCLING. Please access the link below to find another song from Busta, this time about recycling. This will feature as part of our Waste Week activities. 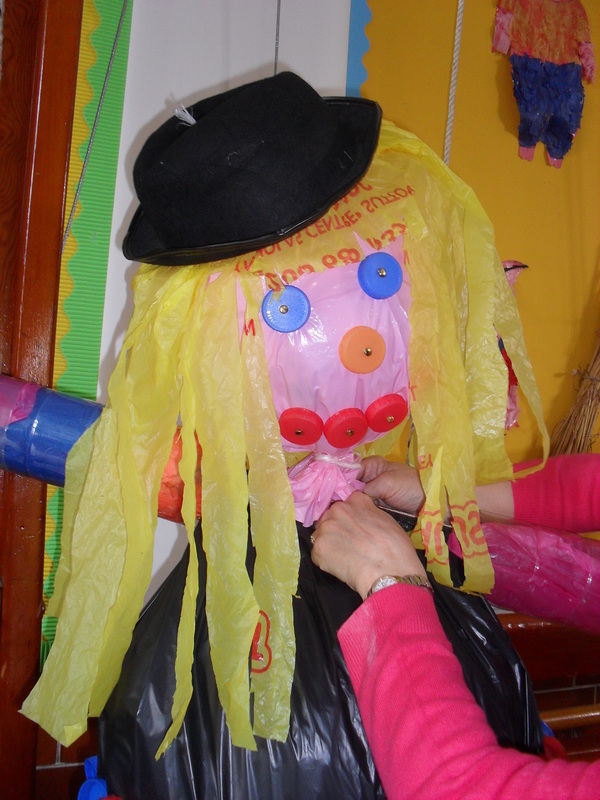 During the first week of March we built a scarecrow. This was to highlight the plastics that are sometimes put in the bin. Our scarecrow will be placed by the strawberry bath in the gardens. 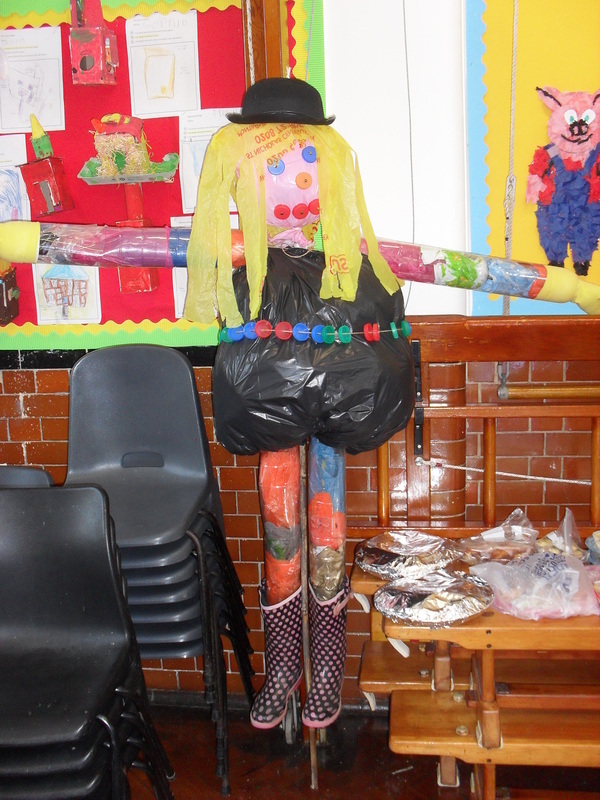 Our finished scarecrow, waiting to go outside and protect the strawberries when they are planted in the bath. This is our completed scarecrow standing guard over the bath that will soon be planted with strawberries. We are taking part in SwitchOff fortnight. During an assembly on Monday 11th November the children were introduced to the idea of saving energy at home as well as at school. The above link shows the short video that the children watched in assembly. Activities for the two weeks will be sent home with the children. As part of our ECO work we subscribe to The Pod. Please take a look at their ezine that contains lots of information and activities for the children. The Autumn 2013 edition has activities on saving energy that will tie in with the Switch Off Fortnight campaign which runs from 18th November to 1st December 2013. We are currently working towards our Green Flag Award. After the autumn half term we will be sending home an Eco Newsletter and asking parents to join us on the Eco Team. Once we have an active Eco Team we will set up 'Action Teams' to work on individual projects around the school such as keeping the milk bottle recycling area clear. 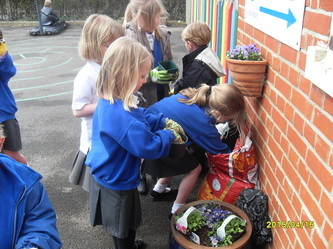 Obviously a large part of our Eco work centres on our school grounds. We turned part of our school garden into a 'Cottage Garden' with lots of brilliantly coloured flowers that will hopefully self-seed and help to maintain an old fashioned cottage garden in keeping with our environment. 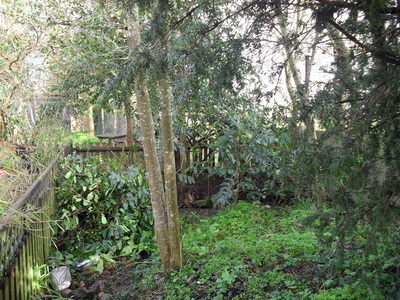 We have a Victorian bath just outside our garden area fence that is beautifully planted. 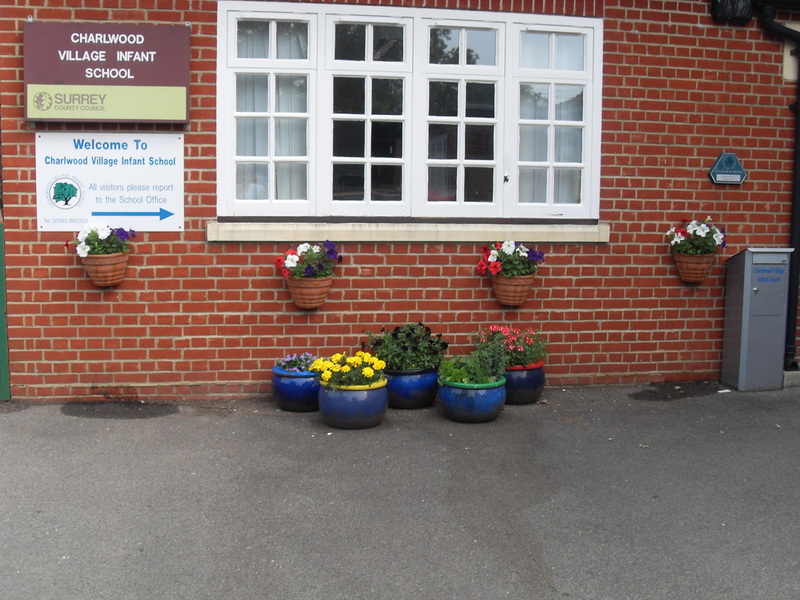 During the summer term of 2012 we took part in the 'Wild about Wildflowers' campaign and planted the area around the Dining Room with the seeds provided. We have now applied for our Green Flag status. We will be assessed and asked to add any necessary items before being judged. We will keep you updated as to the success of our application. The ECO Assessor visited us today, Wednesday 12th March 2014. We now wait with fingers crossed to hear the result. On Monday 17th March we received a 'phone call to let us know that we have achieved our Green Flag Status!! By the beginning of July we have gaps in the planter as the cook is using our beautifully grown lettuces in the kitchen. 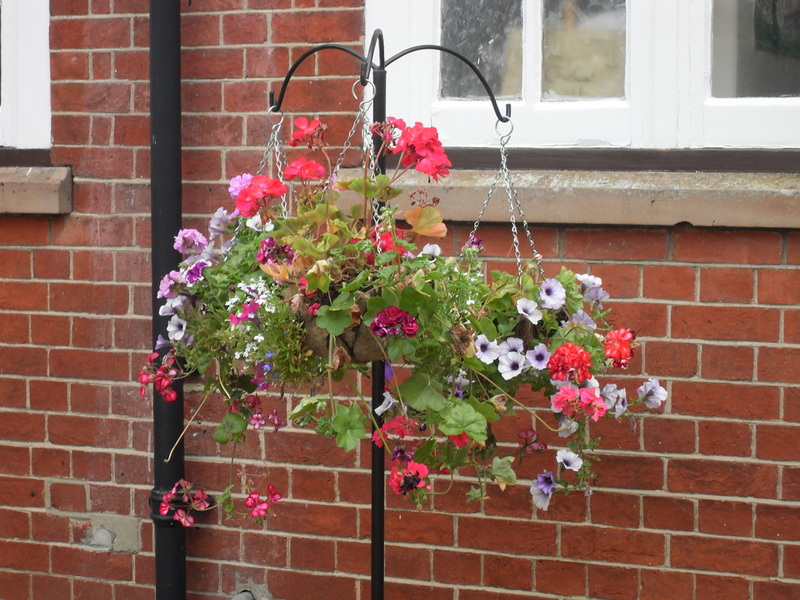 Hot on the heels of the Horley in Spring competition we were judged by the South and South East in Bloom judge. She commented: "...noted the use of 'Yesterday, Today and Tomorrow' violas in the hanging baskets and tubs to commemorate 100years of this charming school. The children who showed the assessor round were aware of dead heading to continue the flowering of these plants and were also very enthusiastic and justly proud of everything they had achieved." We were very proud to be award SILVER in this competition. The final comment from the judge was " Overall a really good first time entry in Blooming Schools and on that shows potential to move forward and progress within the competition to the higher levels. Many congratulations on a well deserved Silver Award." 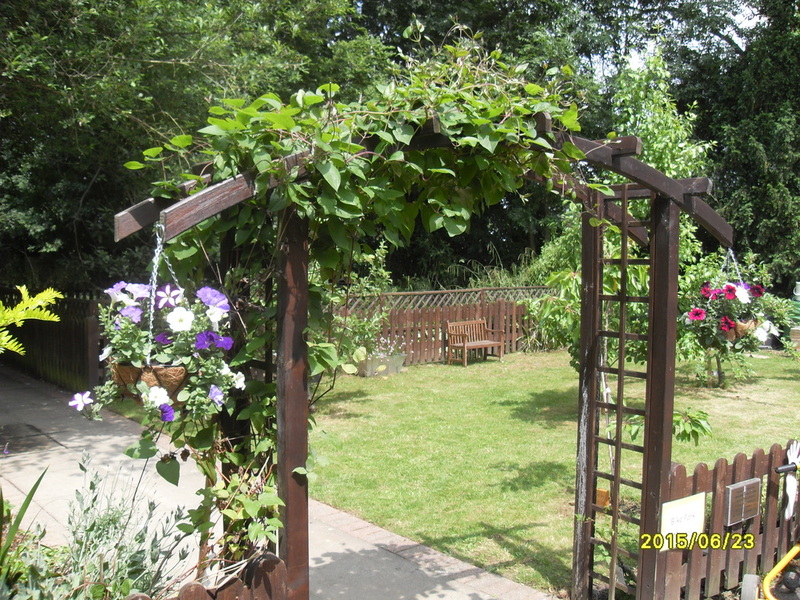 The final garden competition of 2013 was again Horley in Bloom which was judged on 3rd July. Once again the children happily showed the judges around our gardens and we were again proud to receive second place. We would like to thank everybody that has helped with our gardening this year. 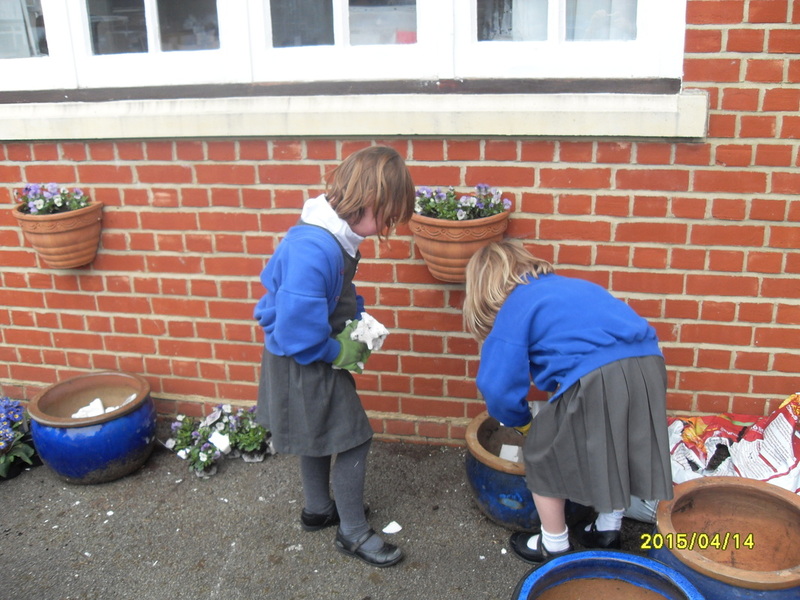 A BIG thank you particularly to the children who have so enthusiastically helped with the daily watering. We entered Horley in Spring for the first time this year and with the help of our newly appointed Garden Gang were pleased to show the judges around our pretty Spring Garden. We were pleased to be awarded Second Place. This spring 2013, for the first time, we appointed a 'Garden Gang'. This is a core group of 5 children that oversee the gardening in our school. During an assembly children were invited to put their name forward to be a part of the 'Gang' - 34 children volunteered! It was a very tough decision for Ms Lanham and Mrs Dodd to choose just 5 children. Our first Garden Gang consists of: Talia, Olivia C and Dylan from Year 2 and Amie and Philippa from Year 1. This group of children very proudly showed the judges around our gardens for the competitions and will be invited to the awards ceremony in September. We are very proud of our first Garden Gang and the work they have done with the gardens and representing our school so well. We entered the Horley in Bloom competition for the first time in 2012 and received second place. The judges were imporessed with our first effort and remarked that we were unique!! The children helped with all of the planting and were aware of the themes involved. 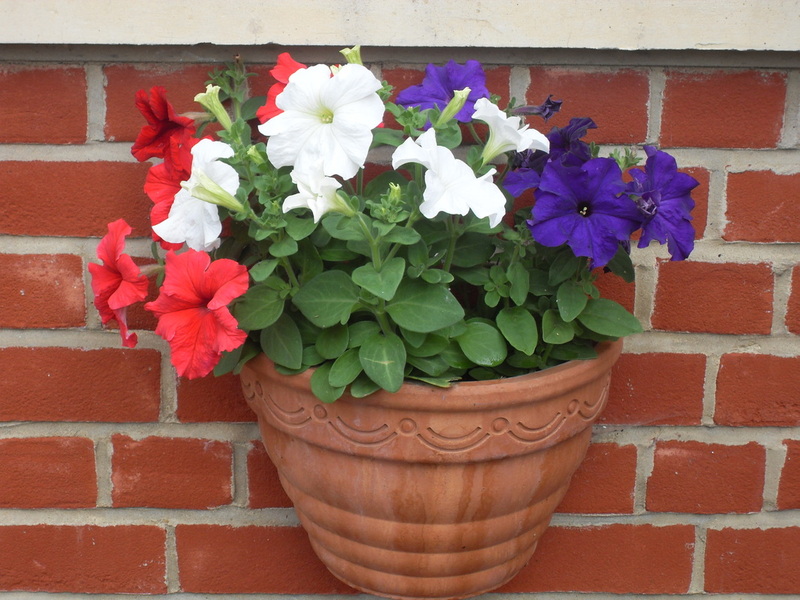 Our hanging basket and wall planters were all planted in Red, White and Blue celebrating the Queen's Golden Jubilee. 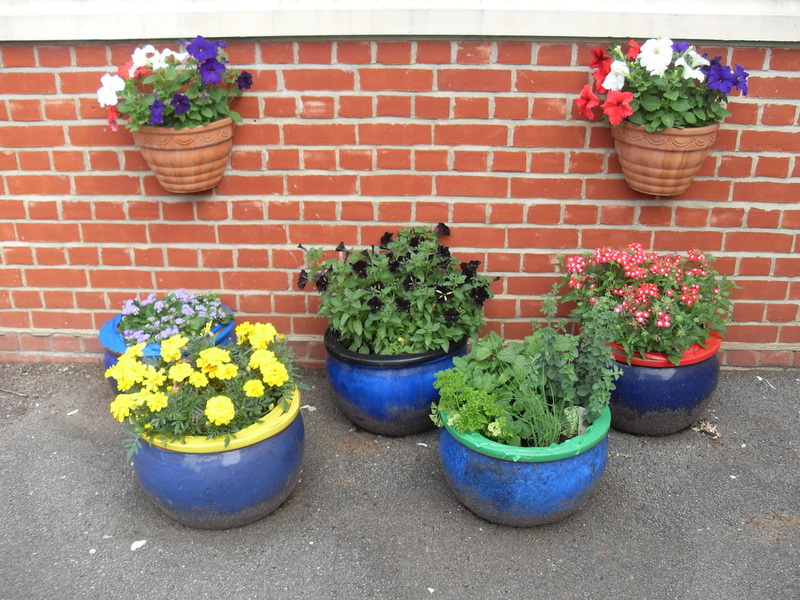 Our tubs (as seen on the floor in the pictures below) were planted to celebrate the Olympics. Each tub had a coloured ring around the top to match the Olympic Rings and were planted in the matching colours. 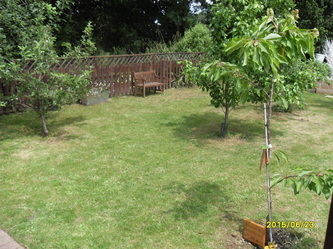 Champion Timber of Dorking kindly supplied us with the wood needed to construct our greenhouse. This has saved us a great deal of money and we are very grateful for their contribution. We had 2 litre bottles arriving at school from various sources until we ran out of space to store them! Parents kindly came to school to wash and cut the bottles ready for the children to use. We then arranged, in May 2012, to hold a 'Greenhouse Day' when the whole school took part in putting the bottles on the canes which will form the walls of the greenhouse. We have started to build our green house. We are hoping that work will be completed by the second half of the autumn term. Our children have fruit and vegetables supplied to them every day as part of the Government's Fruit and Veg Scheme. All waste from snack time goes into the compost bins located around the school grounds. The children are all very aware of our composting efforts and contribute by placing their fruit and vegetable wast in their classroom bins before taking out to the main compost bins in the grounds. 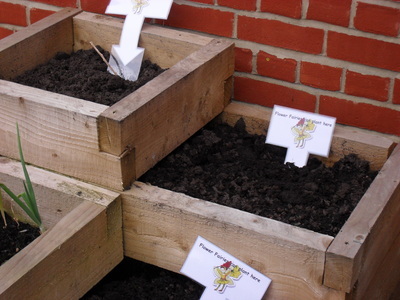 We also have a wormery, placed within the school garden, for smaller items of food waste. We are still collecting milk bottle tops for recycling. Please keep bringing them in as until we have 10 full bags we cannot arrange a collection. This collection bin is located near the front of our playground adjacent to our 'Big Blue Paper Bin'. Please remember to put ONLY milk bottle tops in the bin. The School Council voted that all proceeds from the collection would be donated to the RSPCA. We have a 'big blue paper bin' located near the front of our playground. This is available to the school community and our neighbours to acces during school hours. This can be filled with paper, card, catalogues, telephone books etc but no envelopes or plastic please. We collected quite a store of paper and catalogues when waiting for the bin to be delivered and once it was here the children all wanted to help 'feed it' so we arranged a 'snake' of children across the playground carrying our paper items. Many of the children managed quite a few trips to and fro before they were too tired. We have a shoe bin located by the paper bin and milk bottle tops. This scheme is via United Shoe Recycling Company which is a national shoe recycling company. The shoes are dispatched to developing countries for re-use providing useful footwear and employment where opportunities are sparse.